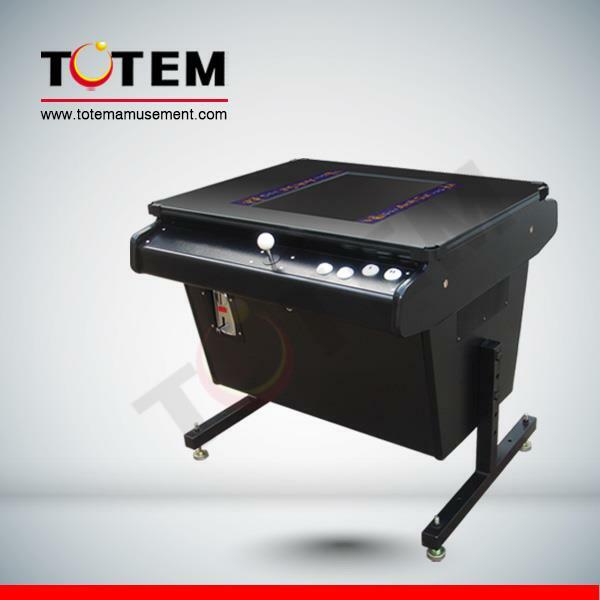 Totem 19 inch 60 Classic Adjust Cocktail Table Arcade Game Machine (Description: 1. Quality wood cabinet with metal feet and metal control panel 2. Horizal or vertical can be adjusted 3. 19 inch industry TFT LCD, wide view for game 4. Tempered glass protect on the surface 5. Can be customize art graphic for advertising 6. 60 in 1 classic game 7. 2 players, joysticks and pushbuttons 8. 28P standard jamma harness 9. Color: Black / wood grain 10. CE Certification 11. Package: W870*D880*H620mm 12. 110V/220V~240V is available 13. Suit for: game center, home, Party, Bars, Club, Advertising, Present etc) collected in Totem - Chris by Chris Wu - Collected It!